Inflation was approximately 2.0% for the fiscal quarter ending September 30, 2017, so many of the IRA and pension limits as adjusted by the cost of living factor have not changed or the changes have been quite small. 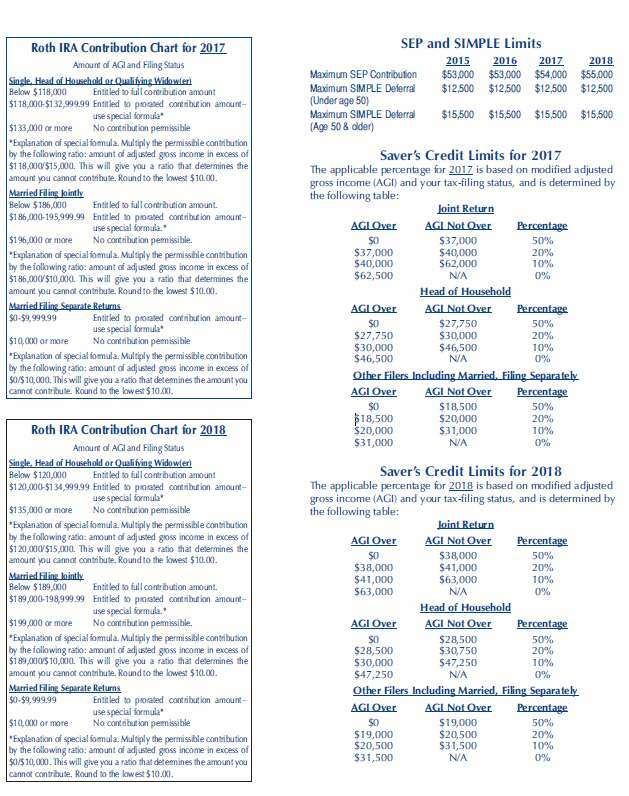 Th e maximum IRA contribution limits for 2018 for traditional and Roth IRAs did not change – $5,500/$6,500. 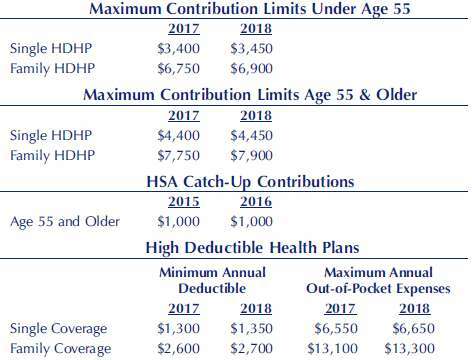 The 2018 maximum contribution limit for SEP-IRAs is increased to $55,000 (or, 25% of compensation, if lesser) up from $54,000. The minimum SEP contribution limit used to determine if an employer must make a contribution for a part-time employee remains the same at $600. The 2018 maximum contribution limits for SIMPLE-IRAs are unchanged at $12,500 if the individual is under age 50 and $15,500 if age 50 or older. The 2018 maximum elective deferral limit for 401(k) participants is changed to $18,500 for participants under age 50 and $24,500 for participants age 50 and older. The catch-up amount of $6,000 did not change. 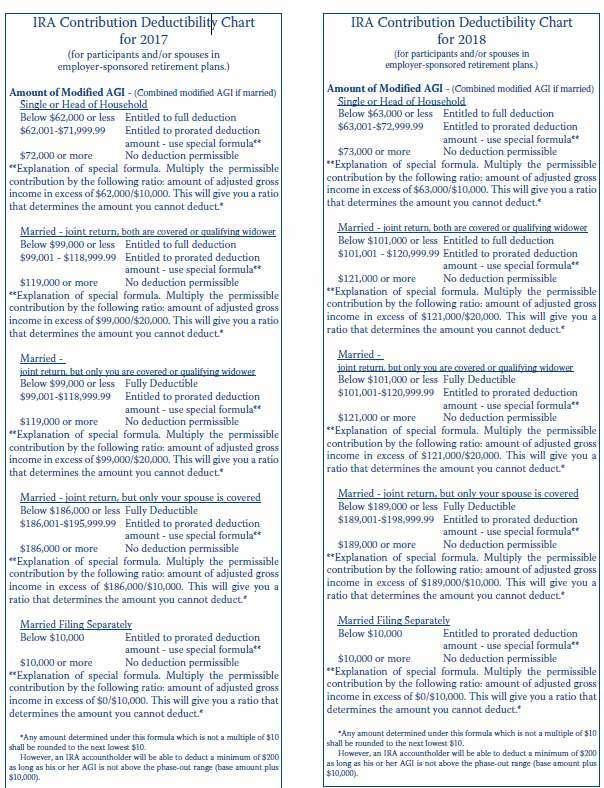 Contribution limits for a person who is not age 50 or older. Contribution Limits for a person who is age 50 or older.